Home Uncategorized Celebrate Canada !/Célébrez le Canada! Join your community to celebrate the biggest birthday of the year on July 1st! Festivities will last from dawn to dusk! 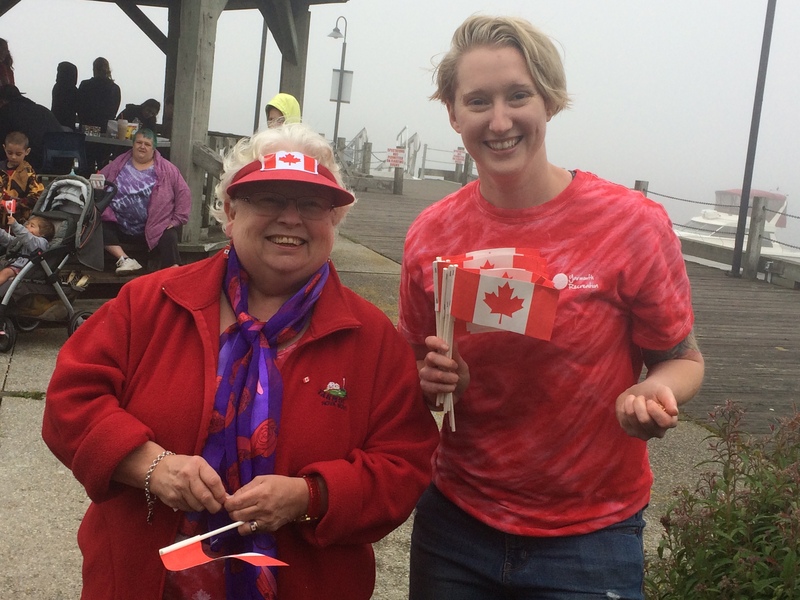 The celebration begins with breakfast from 8-10:30am on the waterfront to support Yarmouth Town and County Crime Prevention. Breakfast will be followed by youth activities like face painting and a bouncy castle along with the official ceremony at noon. Make sure to stick around for a days worth of entertainment ending with the fireworks at dusk! It’s free to come, stay for an hour or the whole day, everyone is welcome! 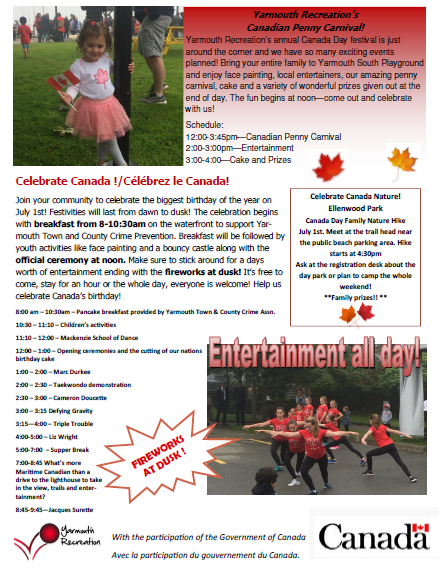 Help us celebrate Canada’s birthday!